Yoji Yamada’s “The Little House” (Chiisai Ouchi). SAN RAFAEL — Returning for its 37th year, the Mill Valley Film Festival (MVFF), presented annually by the California Film Institute (CFI), will be held Thursday, Oct. 2, to Sunday, Oct. 12. Internationally recognized for showcasing the best in independent and world cinema, the festival draws thousands of attendees to Marin County for 11 days of films, panel discussions, and musical performances. MVFF welcomes more than 200 filmmakers representing more than 50 countries. The MVFF provides a chance to catch an early glimpse at the Academy Award contenders and discover some of the best films from around the world. Five out of the last six Academy Award winners for Best Picture (“Slumdog Millionaire,” “The King’s Speech,” “The Artist,” “Argo” and “12 Years a Slave”) were screened at the festival with filmmakers and cast members in attendance. Films will be shown at the Ciné[email protected] (25 Throckmorton Ave., Mill Valley), Christopher B. Smith Rafael Film Center (1118 Fourth St., San Rafael), and other venues throughout the Bay Area. Tickets are $14 (CFI Members, $11.50), unless otherwise noted. For a complete schedule, tickets and additional information visit www.mvff.com or call (877) 874-MVFF (6833). • “1000 Rupee Note” (India), directed by Shrihari Sathe. North American premiere. Thursday, Oct. 9, at 6 p.m. at Century Cinema. Free for CFI members. “When the goddess of wealth comes, she brings trouble with her, too.” And so it unfolds in Phulambri, a village in India’s Maharashtra state struggling to maintain its gentle rhythms and traditions in the face of endemic corruption. Lonely widow Budhi — distraught since her farmer son, drowning in debt, took his own life — has nonetheless found comfort and balance among her fellow villagers. Most of them are as poor as she is, but unfailingly generous with whatever they have, be it goat’s milk for tea or freshly baked fluffy bread in the morning. That delicate balance is upended the moment a politician shoves a 1,000-rupee note into Budhi’s hands at a campaign rally, setting off a chain of events that will take her to the brink of despair and back again. With a Technicolor palette and buoyant original songs, this deeply humanistic morality tale is a feast for the eyes, ears, and brain, and lingers long after the credits roll. • “Ice Poison” (Myanmar,Taiwan), directed by Midi Z. Sunday, Oct. 5, at 6 p.m. at Smith Rafael Film Center and Saturday, Oct. 11, at 11:45 a.m. at the Sequoia. In this stunning, naturalistic film set in Myanmar, drought and despair lead a young farmer to risk everything for family and survival. Faced with a failing vegetable crop, the farmer pawns his cow for a moped and starts a taxi service in the city. In six months, he must make enough to buy the cow back, or it will be slaughtered and sold for meat. His new venture is proving to be another failure until he picks up his first fare, a woman desperate to leave an arranged marriage in China and bring her son back to live with her. They team up in the only steady business in opium poppy country. In its simple, direct style, “Ice Poison” balances moments of pure joy — on the open road and in the karaoke parlor — with the stark reality of a country re-emerging after decades of underdevelopment. • “The Little House” (Japan), directed by Yoji Yamada. Friday, Oct. 3, at 6 p.m. at Smith Rafael Film Center and Saturday, Oct. 4, at 11 a.m. at Lark Theatre. While cleaning out the apartment of his deceased great aunt Taki, a young Japanese man finds her autobiography. 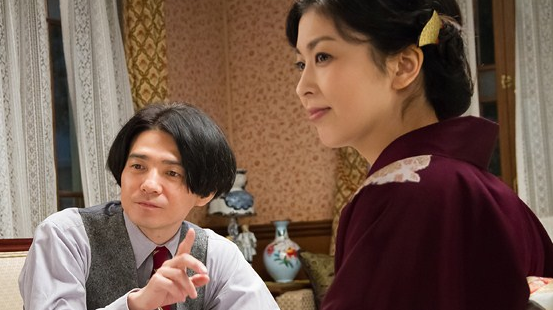 He recalls sitting with his kindly, melancholy relative, helping her sort through various remembrances — how, in 1936, the young Taki (Haru Kuroki, who won the best actress award at the Berlin Film Festival for her performance) travels from the countryside to Tokyo, taking a job as a maid. She tends to a toy maker, his wife, and their polio-stricken son. Everything seems idyllic until rumors of war begin to circulate, and Taki finds herself caught up in the machinations of history. A veteran filmmaker responsible for the long-running “Tora-san” series, Yamada delivers the sort of traditional shomin-geki (family drama) that Shochiku used to produce by the pound during Japanese cinema’s golden age. It’s a look back at a tempestuous period in the country’s not-so-distant past that manages to be nostalgic and bittersweet in equal measure. • “Nuoc 2030” (Vietnam), directed by Nghiem-Minh Nguyen Vo. U.S. premiere. Sunday, Oct. 5, at 11:30 a.m. at Smith Rafael Film Center and Monday, Oct. 6, at 9 p.m. at the Sequoia. Scientists say that the earth is experiencing a global-warming hiatus due to the oceans’ ability to absorb heat. But warming will resume in 2030, so we should heed the warnings of this ravishingly beautiful film that blends elements of romance, murder mystery, and vengeance tale to dramatize the Mekong Delta’s impending environmental nightmare. In a near-future southern Vietnam, where rising waters have displaced 80 percent of the people, and vegetables are scarce, the remaining citizens live on houseboats and catch what fish are left. The secretive Dai Thanh Corporation operates a floating farm nearby, using desalination and solar power and — it’s rumored — methods more ominous. When her husband is found dead, young widow Sao gets a job at the farm so she can find his killer. The dramatic human consequences of climate change are given a sensuous and lyrically elegant treatment by Nguyen, a Vietnamese American who was a physicist before embarking on his filmmaking career. • “Soul of a Banquet” (USA), directed by Wayne Wang. Sunday, Oct. 5, at 5 p.m. at Smith Rafael Film Center and Tuesday, Oct. 7, at 2:15 p.m. at the Sequoia. From the director of “Chan Is Missing” and “The Joy Luck Club” comes this mesmerizing, moving homage to Cecilia Chiang, the celebrity chef who changed the face of Chinese food and culture in the Bay Area. In 1961, Chiang opened San Francisco’s world-famous Mandarin Restaurant, and a culinary star was born. Her unlikely journey from Beijing to San Francisco is brought to life as Wang goes beyond the secret spices and confidential kitchen talk to delve deep into the soul of this amazing, worldly woman. Wang and Chiang will be in attendance at the Oct. 5 screening. After the program, there will be a reception at Cavallo Point. 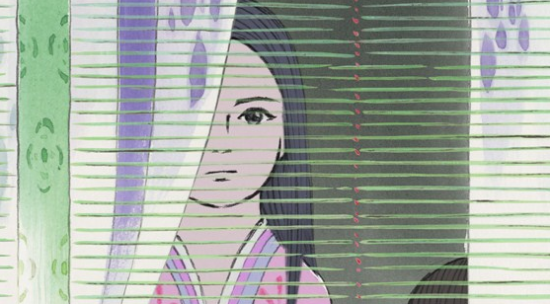 • “The Tale of Princess Kaguya” (Japan), directed by Isao Takahata. Sunday, Oct. 5, at 1 p.m. at Lark Theatre and Thursday, Oct. 9, at 11 a.m. at Smith Rafael Film Center. The revered Studio Ghibli retells one of the oldest of Japanese legends. An elderly bamboo cutter discovers a tiny child growing out of a shining bamboo shoot. He carries her home, even as she begins to magically grow in his hand, and, along with his wife, adopts her. When another bamboo shoot starts gushing with gold and silks, the woodsman becomes convinced their beautiful “princess” daughter is destined for a grander existence and uproots the family to an opulent life in the city. But her background is more magical than even the princess herself suspects. In a stunning style that is at once evocative of the woodblock prints of Hokusai and Hiroshige and the broad brushstrokes of animators John and Faith Hubley, director Takahata — in his last film before retirement — paints a perfectly elliptical ending of love and loss. • “The Wedding Contract: A Balinese Love Story” (Indonesia, USA), directed by David Dawkins. World premiere. Thursday, Oct. 9, at 5 p.m. at the Sequoia and Friday, Oct. 10, at 12:15 p.m. at Smith Rafael Film Center. A rollicking, cross-cultural Romeo-and-Juliet story without the tragedy, “The Wedding Contract” chronicles the filmmaker’s decades-long love affair with his Balinese wife — and the life and customs of Bali itself. Dawkins has been living in a Balinese village for several years. His neighbors affectionately refer to him by their word for “drifting,” since that’s how they regard his footloose existence. After a two-year romance with Mariyati, from a neighboring town, he finally appears ready to commit. But when his efforts to win her father’s approval are rejected, Dawkins’s own village rallies around him with an elaborate plan to allow the couple to marry without parental consent. The scheme — part of a centuries-old tradition — includes a written “contract of love,” religious conversion, and a kidnapping that is as intricately choreographed as a legong danced by Balinese girls.